Helicopter fishing truly is the ultimate fly fishing trip of a lifetime! Treat yourself to the most luxurious New Zealand fishing charter and take a breathtaking helicopter flight from your accommodation at Flock Hill Station, crossing over the majestic Southern Alps to one of the many remote streams located in the Canterbury High Country and/or West Coast region. Imagine stalking large, wild brown and rainbow trout in crystal-clear mountain streams, amidst some of the most spectacular scenery New Zealand has to offer. Many streams accessed by helicopter are relatively untouched waters which are rarely fished—the only footprints in the sand are yours! This is New Zealand wilderness fishing at its best! Our Christchurch heli fishing safaris are personalised to your requirements, taking into account your preferences, budget and weather conditions. 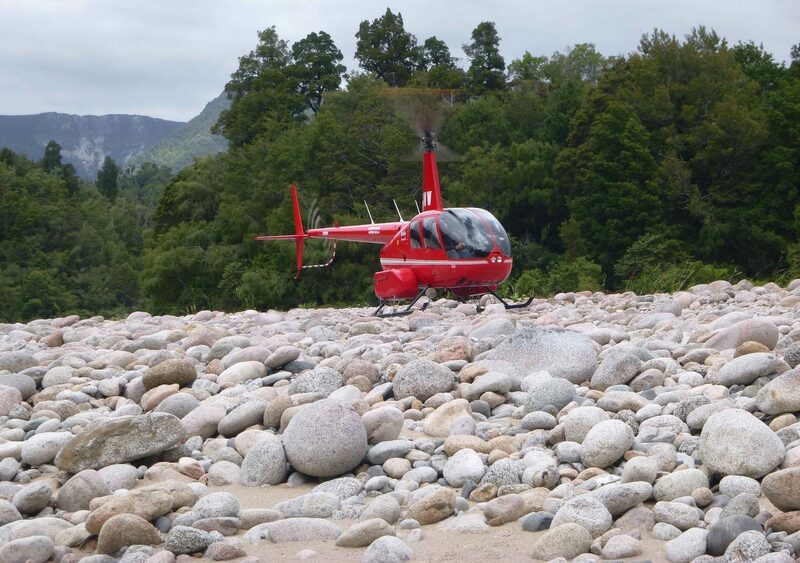 Helicopter hire costs are an additional charge to New Zealand Fly Fishing Escape’s daily guide fee, with hire costs calculated on overall flying time. Book a heli fishing trip today and create lifelong memories. Enquire now!